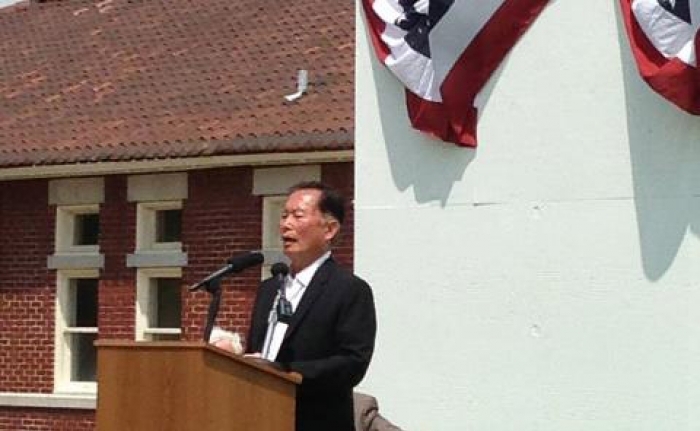 When he was a child, George Takei and his family were forced into an internment camp for Japanese-Americans, as a “security” measure during World War II. 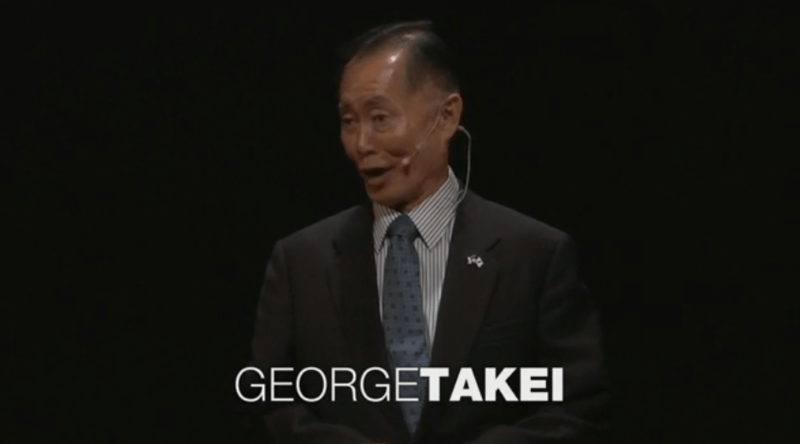 70 years later, Takei looks back at how the camp shaped his surprising, personal definition of patriotism and democracy. This talk, “Why I Love a Country that Once Betrayed Me,” was presented to a local audience at TEDxKyoto, an independent event. The Association for Gravestone Studies will present the Oakley Certificate of Merit Award to University of Arkansas at Little Rock professor of history Dr. Johanna Miller Lewis, along with three other Arkansans on Thursday. Lewis and the others will be honored at 6 p.m. Thursday, Dec. 5, at the Reception Room of the MacArthur Museum of Arkansas Military History at 503 E. Ninth St. in Little Rock. The award is for work that fosters appreciation of the cultural significance of gravestones and burying grounds through study and preservation. The event is free and open to the public. Lewis, who also serves as associate dean of the UALR Graduate School, began a project to stabilize and restore Rohwer cemetery markers at the former Japanese Internment Camp in Desha County upon receipt of a 2011 National Park Service grant. She started working on the cemetery with architect John Greer in 2003 with another Park Service grant for $35,000. UA-Fayetteville History Professor Kimball Erdman will also be recognized. Erdman worked with Lewis at the Rohwer Relocation Center Cemetery. Erdman’s landscape architecture class prepared a Historic American Landscape Survey, including measured drawings, photography, and a written history of Rohwer. Carla Hines Coleman and Tamela Tenpenny-Lewis, co-founders of Preservation of African American Cemeteries Inc., are the other two recipients. They worked with schools and other groups to identify, document, and conserve African-American cemeteries in the state. Lewis and Erdman collaborated with Arkansas State University Heritage Sites program to use maps and research in their interpretation for site visitors and with the UALR’s Center for Advanced Spatial Technologies to prepare a laser 3-D scan of the site. “This has very much been a team effort at UALR with Andrijana Vukovich and Dave Millay in Facilities Management and John Greer leading the way,” Lewis noted. AGS is a non-profit organization based in Greenfield, Mass, with members from many countries who share interests in art, history, art history, genealogy, archaeology, anthropology, conservation, and material culture. For the original news article, click here. 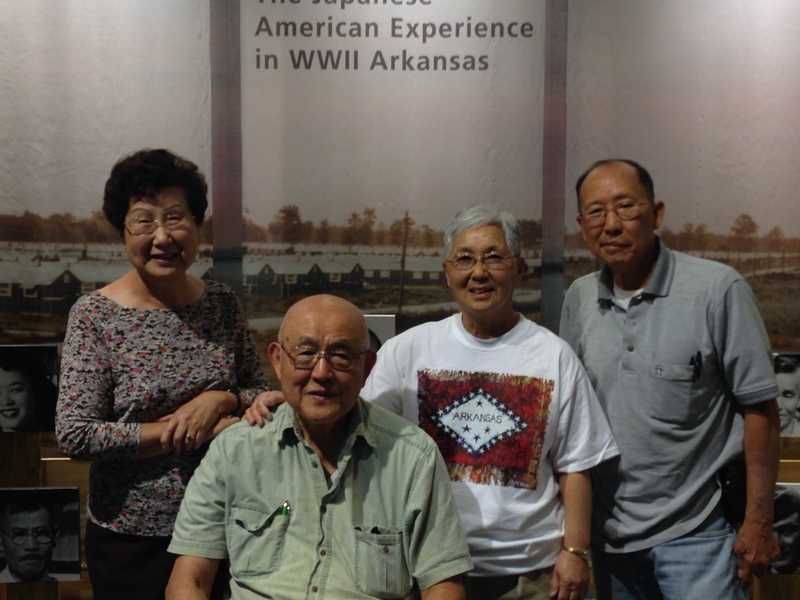 JONESBORO – Rohwer Japanese American Relocation Center tells a heart-wrenching story about the plight of U.S. citizens who were forced to relocate to the Arkansas Delta during World War II. Last week, just before the attacks in Boston, I took a pilgrimage. 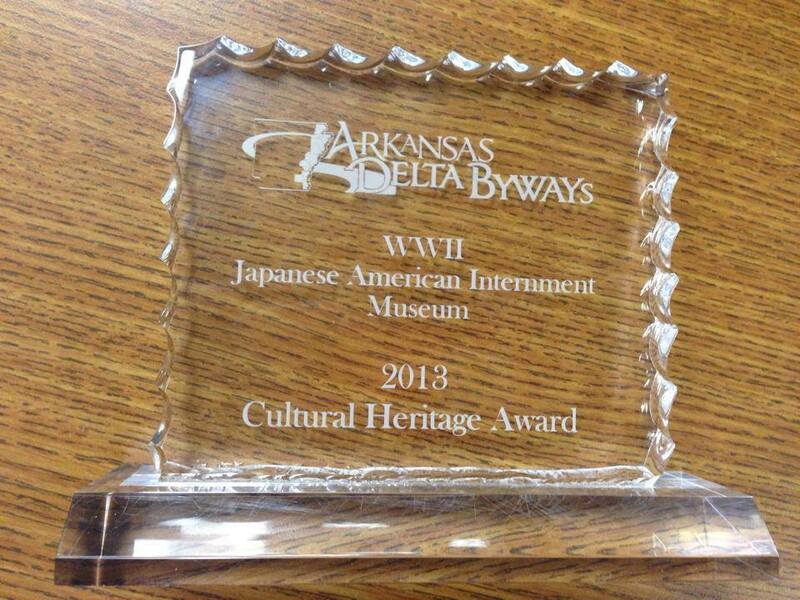 I traveled to Arkansas to dedicate the Japanese American Internment Museum in McGehee. The town lies between two places of great sadness: Jerome internment camp to the southwest, and Rohwer camp to the northeast. Over seventy years ago, my family and I were forced from our home in Los Angeles at gunpoint by U.S. soldiers and sent to Rohwer, all because we happened to look like the people who bombed Pearl Harbor. 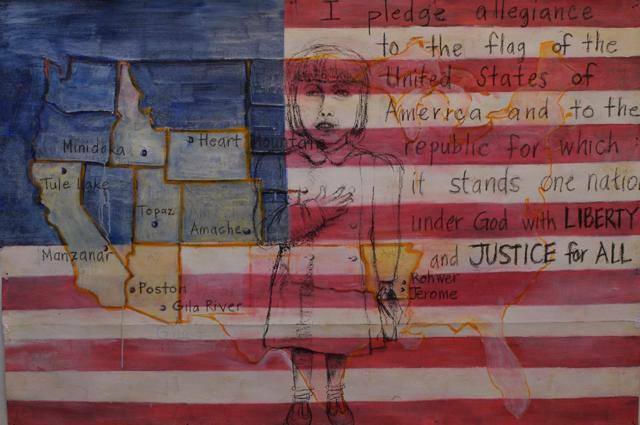 I was just five years old, and would spend much of my childhood behind barbed wire in that camp and, later, another in California called Tule Lake. 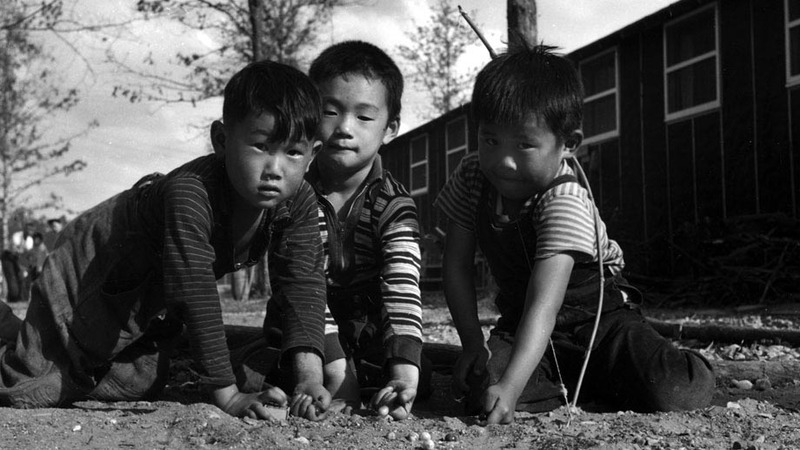 One hundred twenty thousand other Japanese Americans from the West Coast suffered a similar fate. I was the keynote speaker at the dedication ceremony of the museum. A number of internees attended with their families, as well as about 500 people, primarily from Arkansas, along with historians from throughout the United States. After the dedication ceremony, we moved on to the actual Rohwer camp site about 20 minutes away. Almost nothing remains where the camp once stood. We went to dedicate a historic marker, along with half a dozen audio kiosks. It was admittedly poignant to hear my own voice narrating from those kiosks about the importance of each specific site, marking ground where we had been held against our will, without charge or trial, so long ago. One of the audio kiosks is placed just about at the site of the crude barrack that housed my family and me — block 6, barrack 2, unit F. We were little more than numbers to our jailers, each of us given a tag to wear to camp like a piece of luggage. My tag was 12832-C. I have memories of the nearby drainage ditch where I used to catch pollywogs that sprouted legs and eventually and magically turned into frogs. I remember the barbed wire fence nearby, beyond which lay pools of water with trees reaching out from them. We were in the swamps, you see: fetid, hot, mosquito-laden. We were isolated, far enough away from anywhere anyone would want to live. Today, I recognize nothing. The swamp has been drained, the trees have all been chopped down. It is now just mile after mile of cotton fields. Everything I remember is gone. The most moving of the sites is the cemetery. As a child, I never went there, yet that is the only thing that still stands from Rohwer Camp, except for a lone smokestack where the infirmary once operated. The memorial marker is a tall, crumbling concrete obelisk, in tribute to the young men who went from their barbed wire confinement to fight for America, perishing on bloody European battlefields. That day, I stood solemnly with surviving veterans who had served in the segregated all-Japanese American 442nd Regimental Combat Team, the most decorated unit in all the war. We ended the ceremony with a release of butterflies. They symbolized beauty confined, first in cocoons, then in a box, but now released, free to go and be wherever they chose. Places like Rohwer matter, more than seventy years later. And so, we remember.